Product page - Gasification credit. 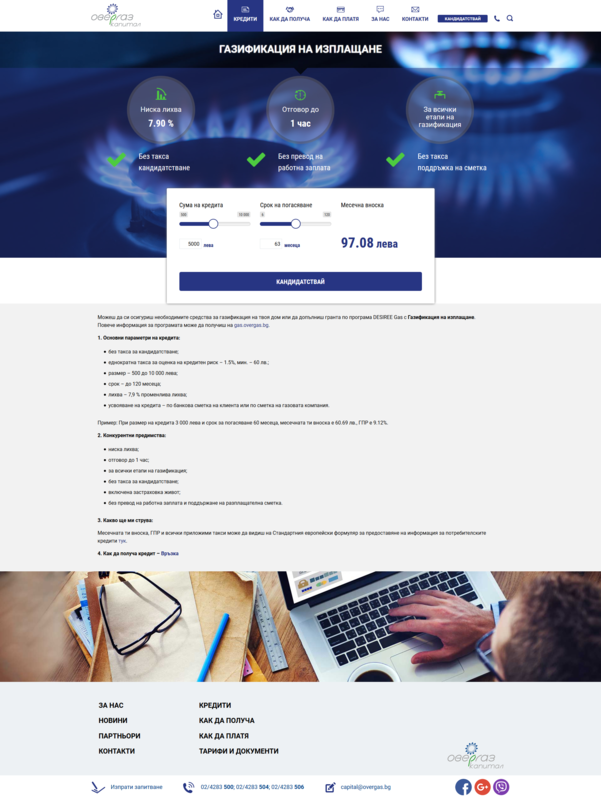 The redesign of www.overgascapital.com includes a comprehensive evaluation and restructuring the content and vision of the brand to improve the user experience and optimize the platform for all devices. 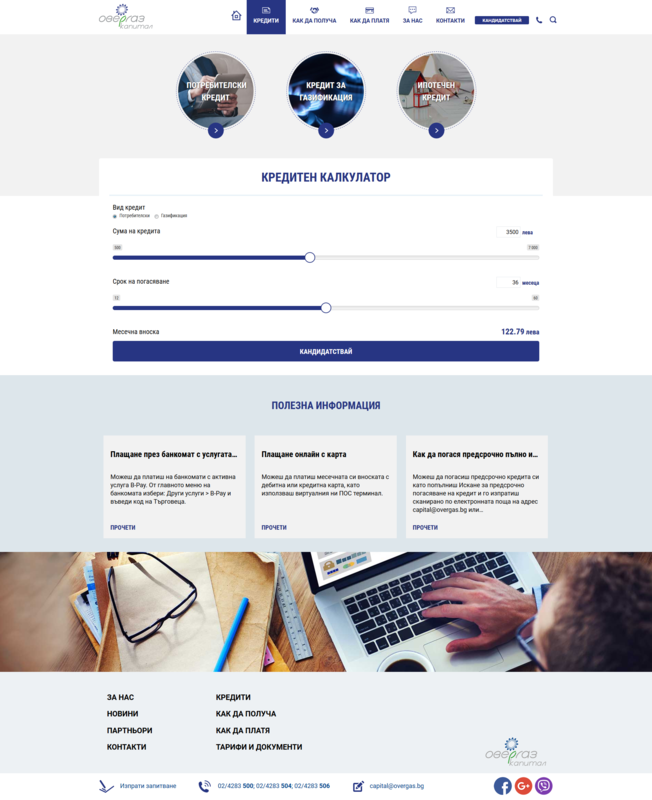 Within the project there were added new and improved existing functionalities of the site – credit calculator, request form for credit, contact form. 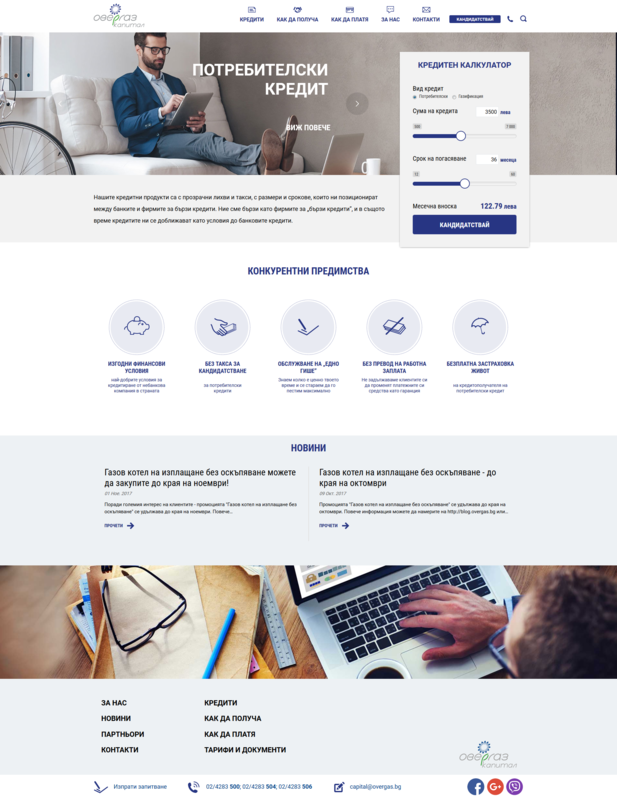 The design of the site is consistent with other pages in the group of Overgas, emphasizing corporate appurtenance of “Overgas Capital” AD. It’s using WordPress CMS platform with custom plugins.